* GREAT DEAL AT $23,354 * * 2019 ** Subaru * * Crosstrek * * 2.0i Base * Featuring a backup camera, Bluetooth, braking assist, a power outlet, hill start assist, stability control, traction control, anti-lock brakes, dual airbags, and side air bag system, be sure to take a look at this 2019 Subaru Crosstrek 2.0i Base before it's gone. The exterior is a timeless gray. Looking to buy a safer crossover awd? Look no further! This one passed the crash test with 5 out of 5 stars. Don't sit on this decision for long...schedule your test drive today! Contact Information: Subaru of Clear Lake, 15121 Gulf Freeway, Houston, TX, 77034, Phone: (866) 979-8937, E-mail: rcano@teamgillman.com. * GREAT DEAL AT $23,558 * * 2019 ** Subaru * * Impreza * * 2.0I PREM * Buckle up for the ride of a lifetime! This 2019 Subaru Impreza 2.0I PREM includes a top-notch backup camera, Bluetooth, braking assist, a power outlet, hill start assist, stability control, traction control, premium sound system, a MP3 player, and anti-lock brakes. Exhibiting a sharp red exterior and an ivory interior, this vehicle won't be on the market for long. This wagon awd is one of the safest you could buy. It earned a crash test rating of 5 out of 5 stars. Don't sit on this decision for long...schedule your test drive today! 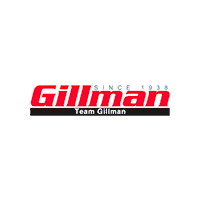 Contact Information: Subaru of Clear Lake, 15121 Gulf Freeway, Houston, TX, 77034, Phone: (866) 979-8937, E-mail: rcano@teamgillman.com.